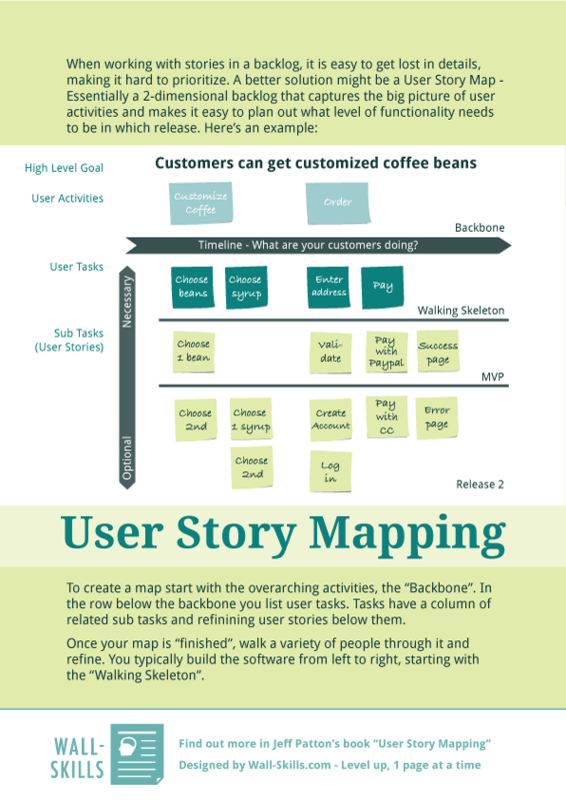 Story Mapping as a fantastic method to plan a product (or feature), sort user stories into releases and to serve as a backlog on steroids during development. We have to thank Jeff Patton for popularizing this approach. To create a map start with the overarching activities, the “Backbone”,. In the row below the backbone you list user tasks. Tasks have a column of related sub tasks and refinining user stories below them. Once your map is “finished”, walk a variety of people through it and refine. You typically build the software from left to right, starting with the “Walking Skeleton”.